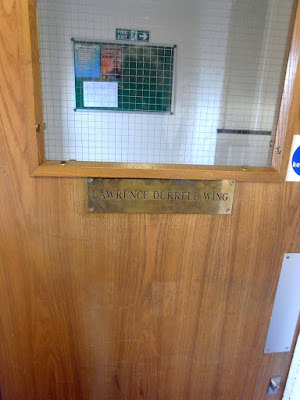 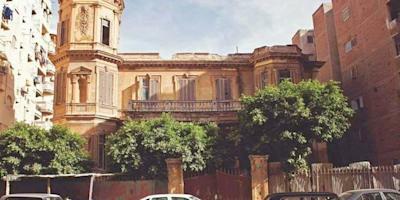 Zahraa Adel Awad tells me: 'Today all the Egyptian newspapers are talking about the Villa Ambron and Lawrence Durrell'. 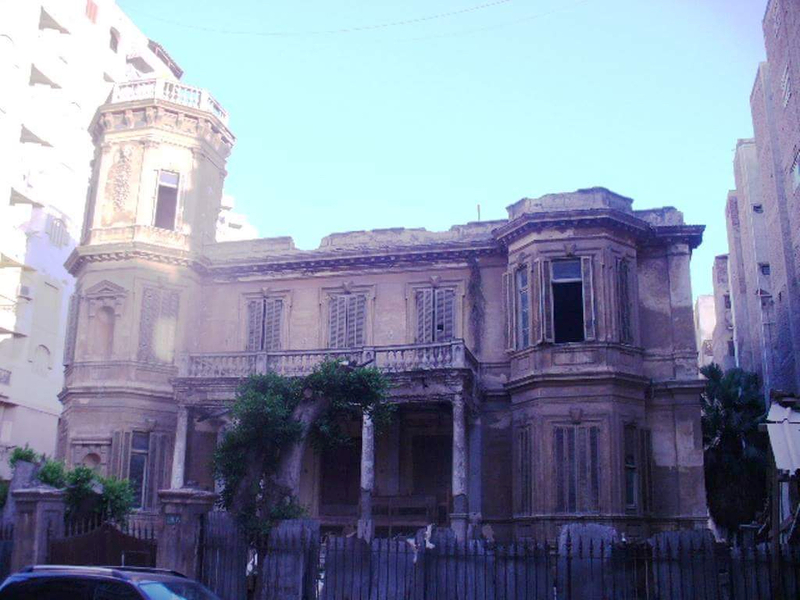 Zahraa and her friends and fellow activists (see previous post) have long campaigned to save the Villa Ambron, the place where Lawrence Durrell began writing The Alexandria Quartet, with the aim of turning it into a museum or cultural centre dedicated to Alexandria's recent cosmopolitan period. 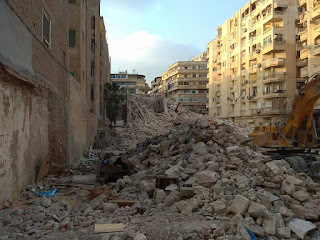 But today their photographs appear throughout the Egyptian press to record its destruction. 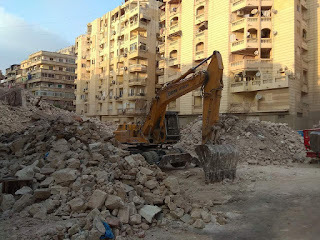 Corruption and ugliness have ruined a once beautiful world class city. 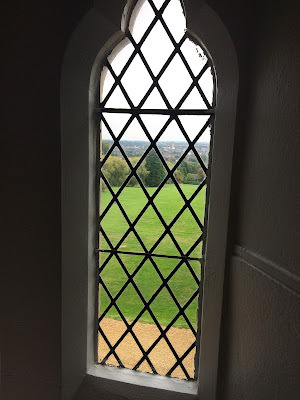 Here are some thumb shots with links. 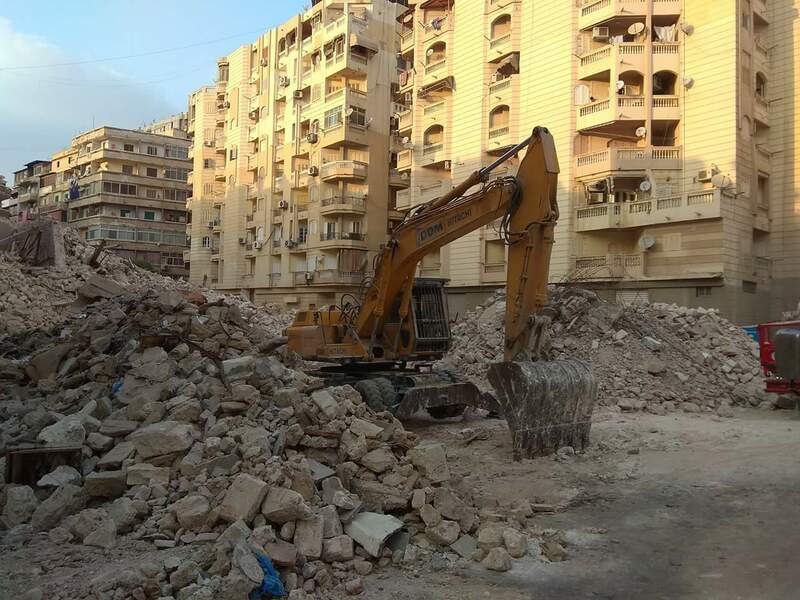 على مدى قرن من الزمان ظلت فيلا "إمبرون"، التاريخية، والتي تقع بشارع المأمون بمنطقة محرم بك، رمزًا مميزًا من رموز الإسكندرية بطرازها المعماري الإيطالي، قبل أن تُودع المدينة الساحلية اليوم، بعد أن تم هدمها بالكامل استعدادا لبناء برج سكني. 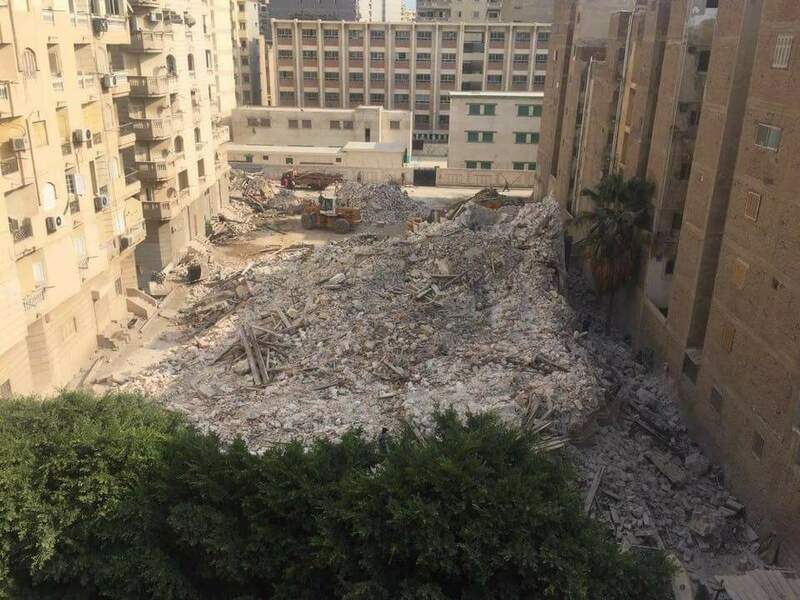 أثار هدم فيلا عائلة الإيطالى إمبرون بمنطقة محرم بك وسط الإسكندرية جدلا كبيرا بعد أن حصل مالكها على حكم قضائى بإخراجها من مجلد التراث وهدمها. 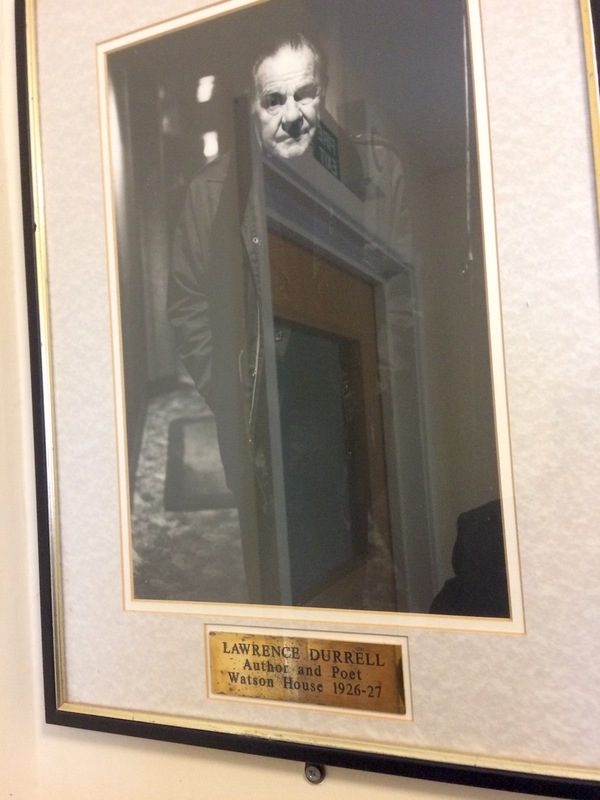 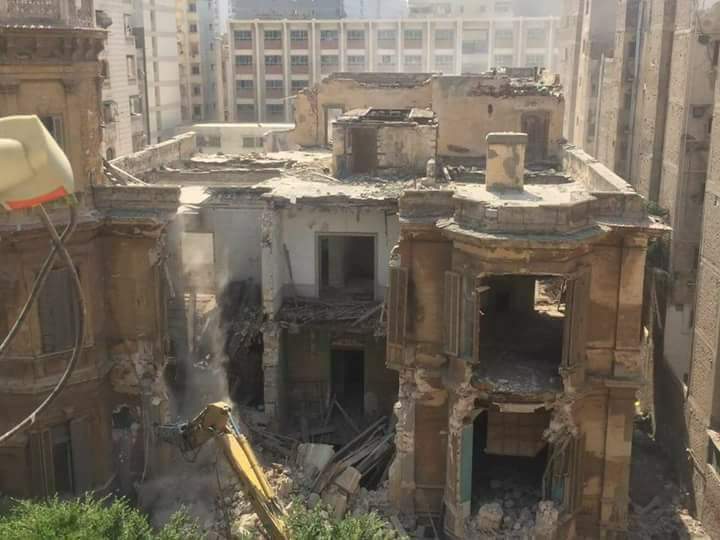 Zahraa Adel Awad has sent me more photographs of the destruction of the Villa Ambron (see previous post) where Lawrence Durrell lived in a very different Alexandria during the war. These photographs were taken by her friends Dr Mohamed Adel Dossouki and architect Sherif Farag. 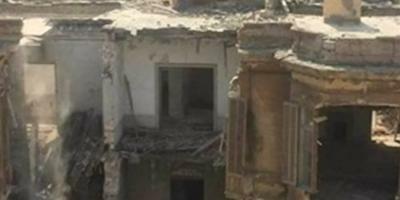 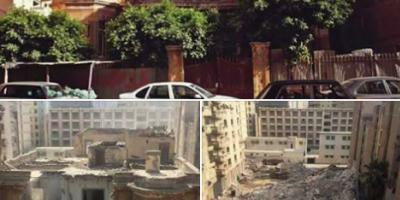 All are campaigners for the preservation of Alexandria's heritage and all are very sad. 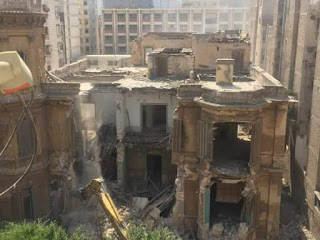 Zahraa says: 'I am so sad for the villa especially I used to take my tourists group around for Lawrence Durrell tour in Alexandria; now it is totally gone. The developer is Mr Abdel Aziz who will build a new apartment building called Al Amraa Palace (Royal Princes Palace)'. The Templars: History and Myth is now an audio book. 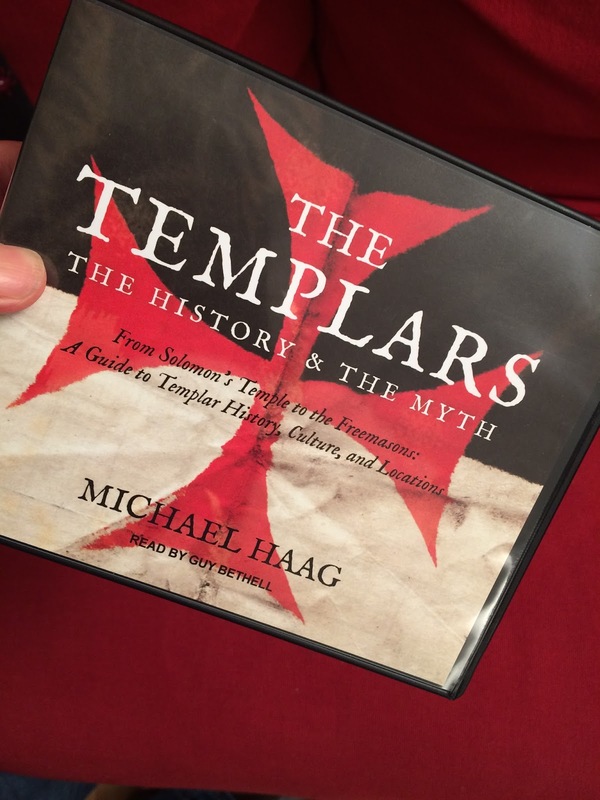 You can now listen to The Templars: History and Myth by Michael Haag while washing the dishes, driving the car, or whatever. The audio book runs for 11 hours unabridged and is available directly from the publisher Tantor in North America and via Amazon and other online outlets worldwide. The reader is Guy Bethell, an Englishman who lives in Arizona. 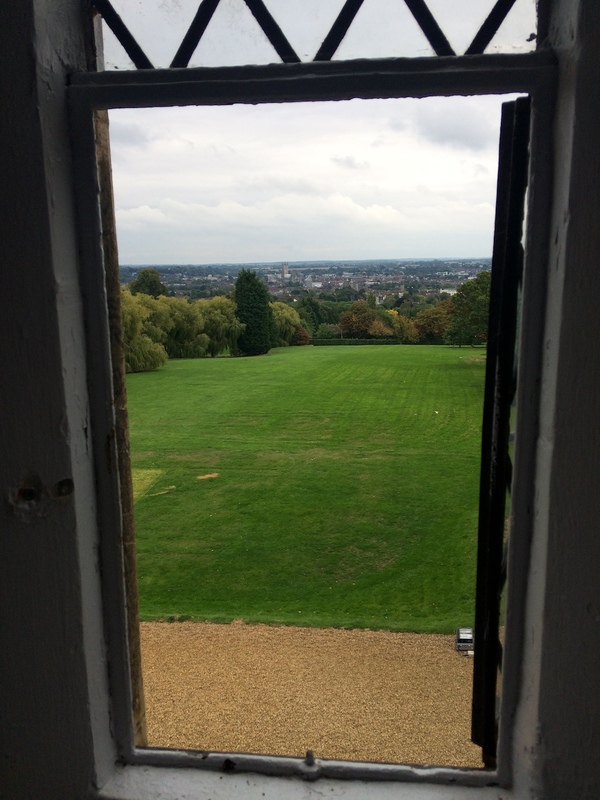 For an audio sample of the book, click here. 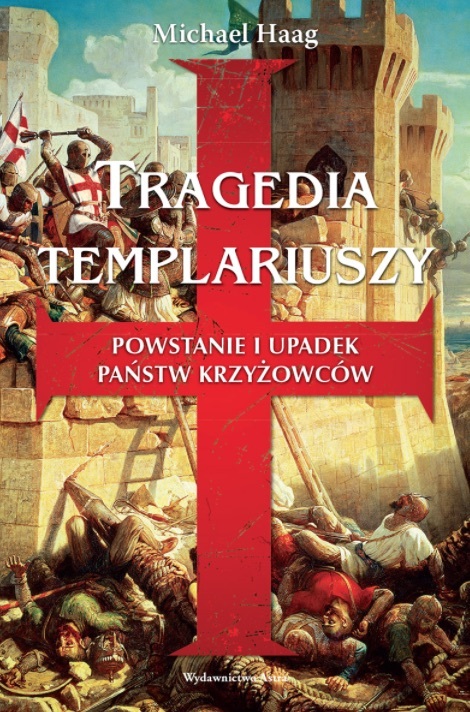 Astra in Poland (Wydawnictwo Astra) have acquired the Polish rights to The Templars: History and Myth, following their publication last year of The Tragedy of the Templars which has become a bestseller. The Polish edition of The Templars: History and Myth will be published in 2018.